Pallikere Beach is one of the most fascinating beach located in Kasargod District. It is located about 1km from Bekal Fort. The beach offers captivating view of the Bekal fort. Pallikere beach is a favorite haunt for the tourists in Kasargod. 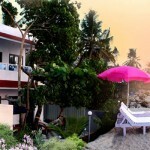 Tourist can enjoy the beach scenario and relax here in amidst of coconut grooves all along the beach. It is at walking distance from the fort , tourist mainly come here to relax in the peaceful place which rejuvenate their body. 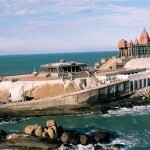 Pallikere beach is an ideal place for tourist leisure. 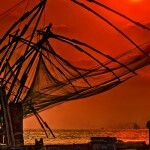 Cochin festival is celebrated here which attracts lots of tourist to this beach. The sea water is clean and clear for swimming and sunbath. Coming to this peaceful and serene beach refreshes the body and mind. By Air– Mangalore International Airport is located about 51 km away. By Train– Kasargod Railway Station is the nearest railway station at about 17 km . 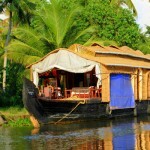 By Road– Kasargod is located about 14 km from the beach which has good road networks . There are many bus services to and from Kasargod city.